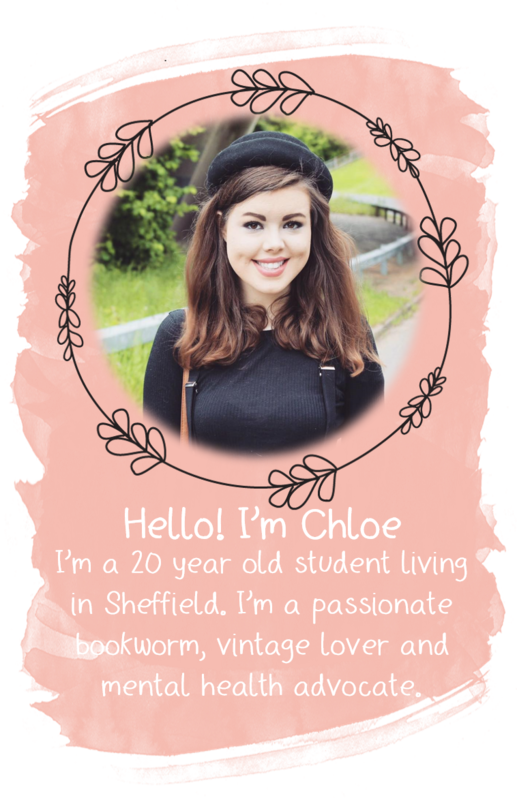 I had planned to do this post for Blogmas Day 5, and do a little Christmassy playlist for Day 4 but clearly blogger hates me because it deleted the finished playlist post, after I had spent a good four-ish hours, writing it (thanks a lot Blogger, I really appreciate it). I'm so cross right now I can't actually explain it. I really wanted to pop the playlist up on the 4th but I don't think I can face attempting all that again so I'll leave it until tomorrow and I'll share with you the post I was planning on putting up on day 5. One of my favourite parts of Christmas is decorating the house and making it all lovely and Christmassy with a tree and lights and tinsel and all things Christmas. I especially love to give my room a bit of a Christmassy makeover when December comes as it really helps to get me in the Christmas spirit and who doesn't want a Christmassy room? 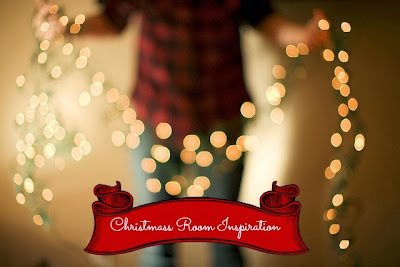 I'm gradually making my room more and more Christmassy as we get into December and once it's all completed I'm going to pop up a post of photos showing you how I injected some Christmas spirit into my room. I've been delving into the realms of pinterest to find some inspiration for new ways to make my room all christmassy and I thought I'd share some of them with you today. Up first we have fairy lights. Now I love fairy lights all through the year but I think they become extra special at Christmas and I think they're really fab for adding a Christmassy touch to a room. 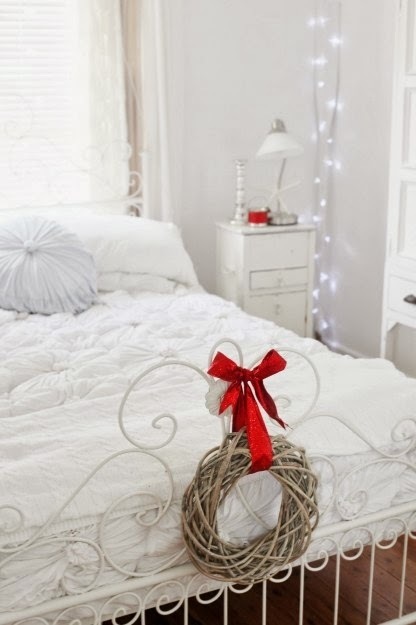 Fairy lights make a room so cosy and lovely - perfect for those cold winter nights. Next there's Christmas bedding. 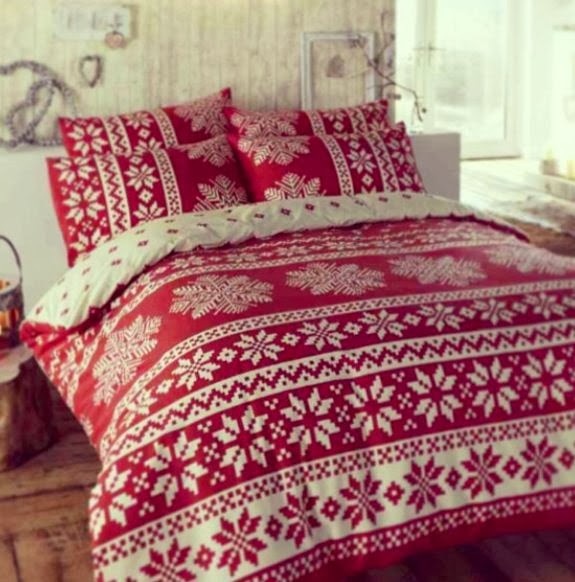 Now, I've never actually had Christmas bedding because I'm one of those cheap people that normally doesn't see the point in buying bedding you're only going to use for one month a year, but I do have to admit I am warming to it this year and I think I might have to treat myself to some. I think Christmas bedding is a perfect way of adding some Christmas spirit to your room without going too over the top - it's perfect if you just want a simple yet really effective decoration. This is such a simple yet stunning method of decorating a room, and it's simply just hanging a few Christmassy decorations here and there around your room. I picked this photo because I think the red and brown of the wreath looks amazing contrasting with the white of the rest of the room. To me, Christmas would not be Christmas without some Christmassy candles, and let's face it, yankee candles are the best things ever aren't they? 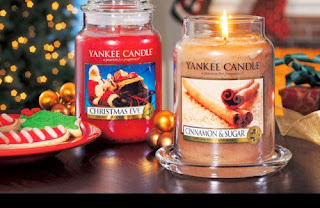 Even when they're not lit, I think they add a lovely pinch of Christmas spirit to a room. 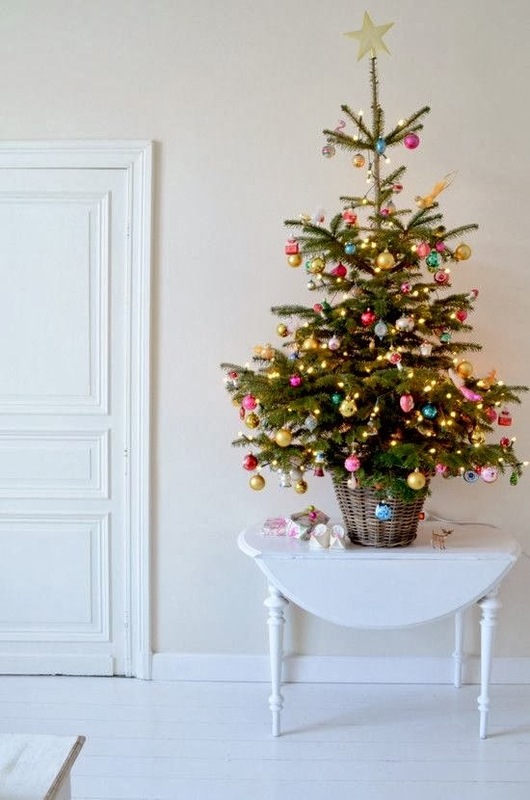 Finally, we're onto an obvious yet gorgeous decoration - a Christmas tree. I always have a little tree in my room that I try to decorate in a very nice simple way, as I think they're the most effective trees. My favourite colour scheme when decorating a tree has to be a silver/gold/red theme because to me, those three colours (along with the green of the tree) really sum up Christmas. 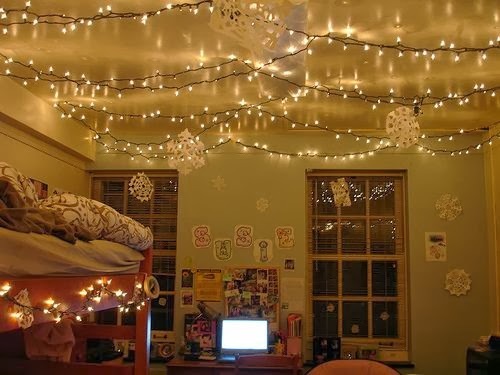 How are you going to be decorating your room this Christmas?